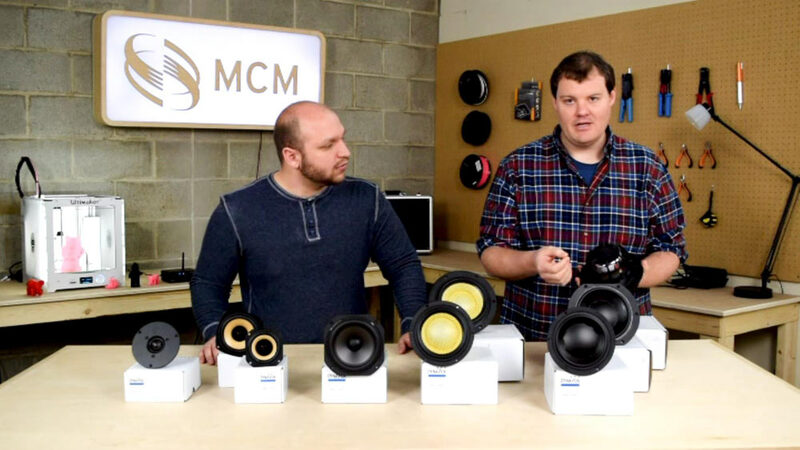 A bit ago, we started shooting videos at MCM for our “New Product Saturdays” campaign. At the outset, though, our set was a bit…bland. Essentially, we were shooting at a table I built with a cinder block wall backdrop. 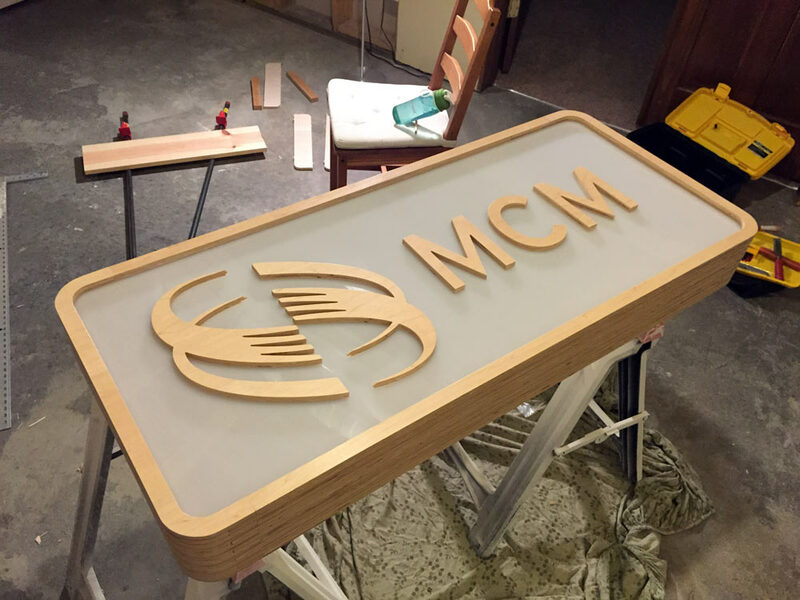 To add some interest, I thought it would be cool to add some branding in the form of a custom MCM sign. I’ve always been fond of the look multilayered plywood presents. My plan was to build a box in the shape of the outside stroke of the logo, via layers of plywood. In between the top and second layers of plywood, I’d leave a slot that would house a sheet of frosted acrylic plexiglass. 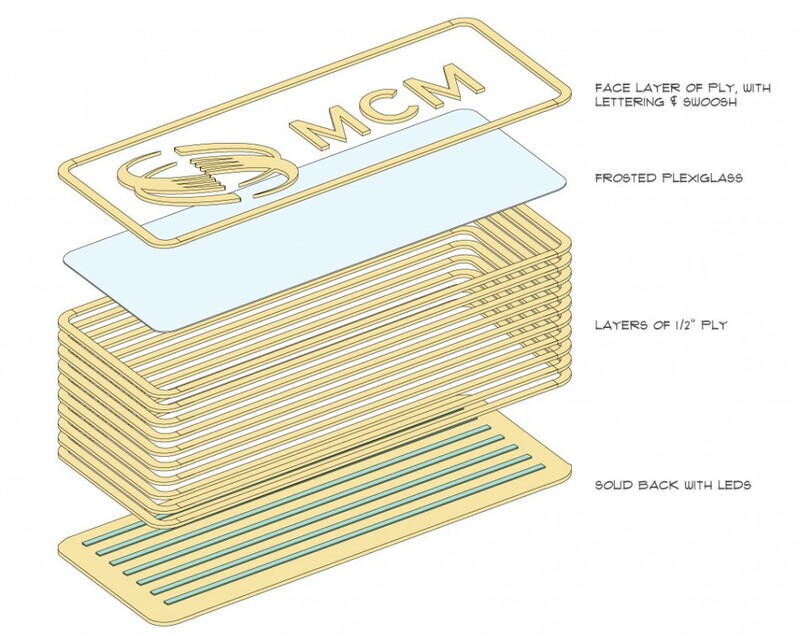 I’d then mount the letters and MCM swoosh to the front of the plexiglass. Inside could be filled with dimmable LEDs that will illuminate the sign when powered. I cut several layers from a sheet of 1/2″ birch ply on the CNC. 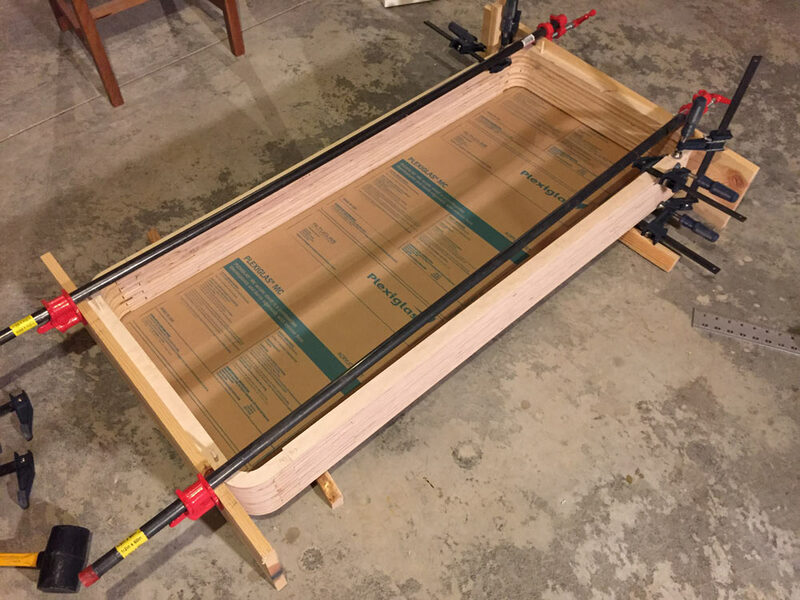 Because the bed of the CNC router isn’t large enough, I cut the side sections separately from the top and bottom sections. 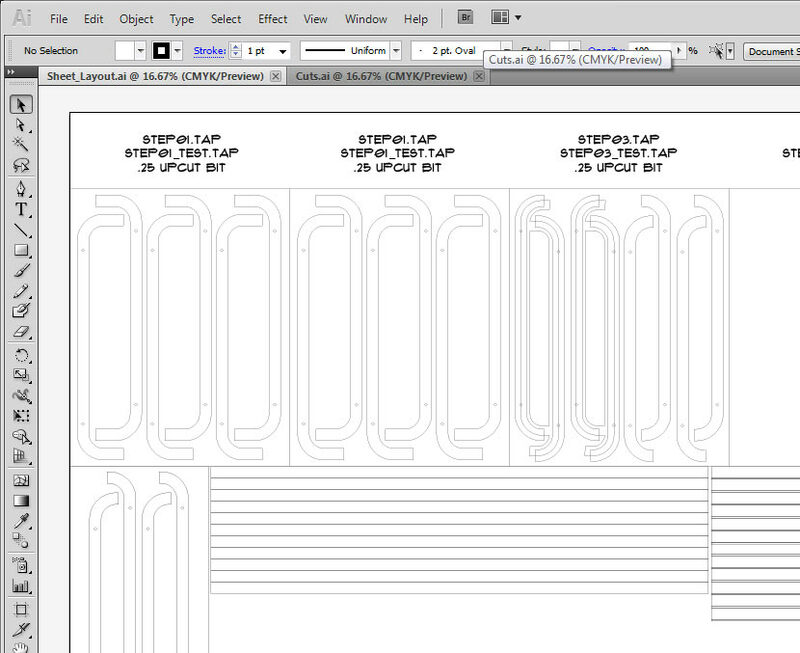 Once these were cut, it was a matter of gluing everything up, one section at a time. 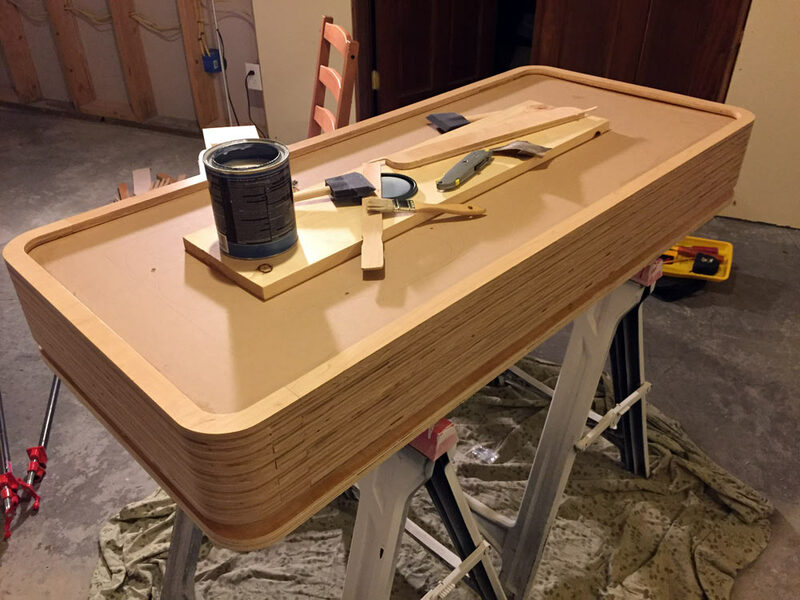 Once all the sections were glued up and dry, everything was assembled. Then sanded and coated with several coats of polyurethane. After that, the protective film was removed from the plexiglass and the letters and swoosh were carefully mounted with small screws. Here, along with some other bits, it has finally found it’s home on the MCM video set.